For 2018 at Gladfest 39 there will be astronauts, aliens and time travelers roaming the festival at Linden Square and Central Park on October 5, 6 and 7. Friday night is always fun with the start of Gladfest, especially if the weather is a nice fall evening that will bring people out. The craft booths are open to find those handmade treasures and the marketplace booths will offer those goods or services that may be needed. A train show, Kids Corner with crafts for kids on Friday and Saturday and the carnival will have things for the kids to do. 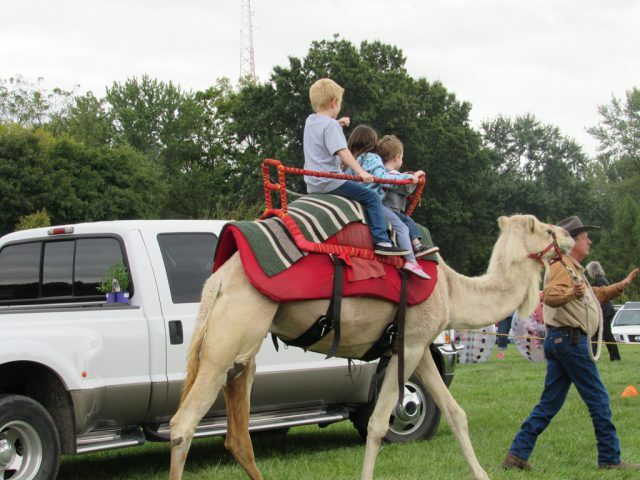 Camels will be there for rides near Kids Corner. 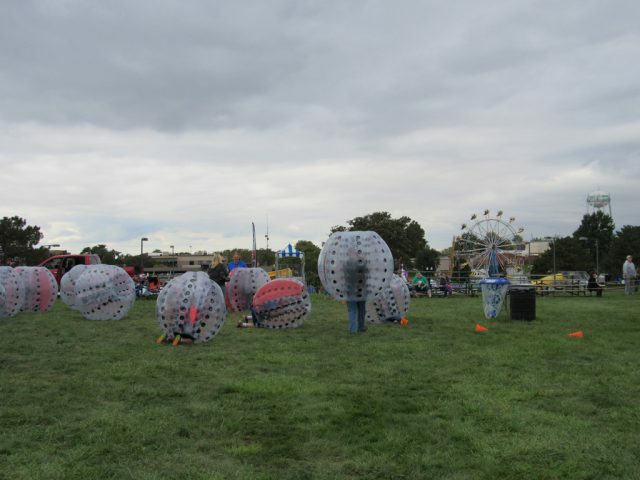 The parade kicks off on Saturday at 10 A.M. and then at noon activities like Knockerball and DOGFEST starts the day. At Kids Corner, The Kansas City Symphony Orchestra instrument petting zoo will be available for kids to check out and the Zoomobile will stop by with smaller animals and educational information about them. There will be lots of food, music, rides and drinks at Gladfest. The parade route is different this year to accommodate a longer parade. It will start at Shady Lane and North Oak Trafficway. It will continue north to NE 72nd Street and go east to N. Holmes. Then it will travel south on N. Holmes past City Hall and through the festival and head west on 70th Street past Linden Square to end at the Security Bank parking lot at 70th and N. Oak. The carnival will run Friday, Saturday and Sunday. They will have wristbands available for those designated “All you can ride” times through out the weekend. Friday night, Oct 5 entertainment will be The Stolen Winnebagos at 7:30 P.M. at the Linden Square Stage. Saturday night, Oct. 6 entertainment will be Fast Times – KC at 7:30 P.M. at the Linden Square Stage. For directions or more information, visit www.gladstonechamber.com, and also check out the Gladfest page on Facebook.